What is your Operating System & the version of Immunet being used? Just mouse over About in the lower right hand corner and that will tell you what build you have. 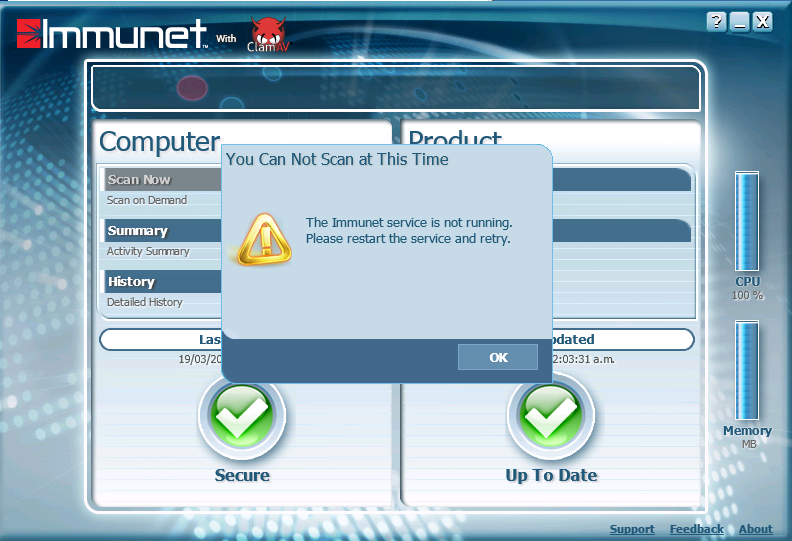 One thing that may cause an incomplete start if you have a program that's not allowing one or both of Immunet's processes (sfc.exe & iptray.exe) to function properly. Make sure that your firewall or other installed security software does not interfere with these two processes including both outgoing & incoming internet connections.